The reason why you should use a specific product on the skin around your eyes is very easy: the skin in that area is thinner and more sensitive, therefore the formulation of the product is different from a face cream. If you are still not using an Eye Cream you should start, and the one I'm reviewing today might be the right solution for you. 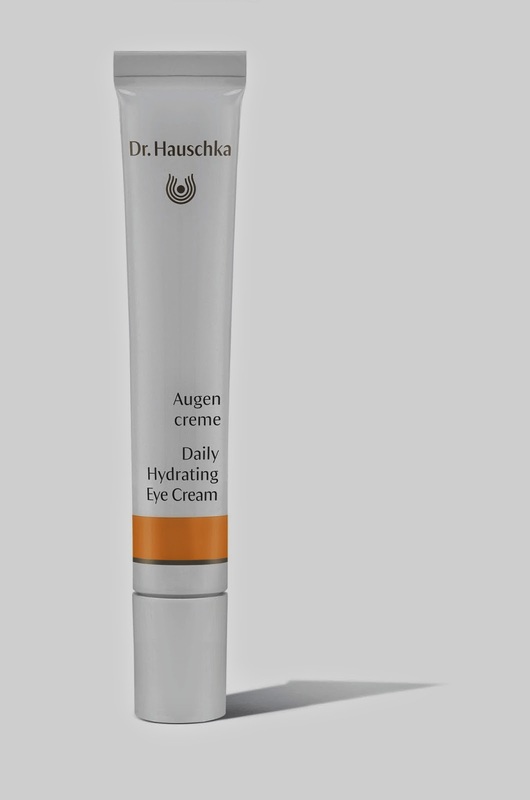 The Daily Hydrating Eye Cream by Dr. Hauschka nourishes and refines the delicate skin around the eyes, which is particularly prone to wrinkles and dryness. This moisture-rich preparation safely and naturally firms, leaving skin soft and smooth. Pineapple, marsh mallow and calendula have a revitalizing, calming effect, smoothing the appearance of fine lines and wrinkles. Rose distillate, blended with nurturing avocado, macadamia nut and sea buckthorn oils moisturize, nourish and tone. It is suitable for all skin types and since it's a non-greasy, rapidly absorbed cream, it can also be applied before using make up. I've been using this Eye Cream for a while now, and I've noticed that when I apply the concealer over it doesn't crease at all. During one month I've been applying this wonderful cream every morning on my cleansed skin and I can tell you that the fine lines around my eyes are way less visible. As a general feeling the skin in that area feels much less dry. If you're into natural products of the highest quality you should definitely try this Eye Cream and this amazing brand.